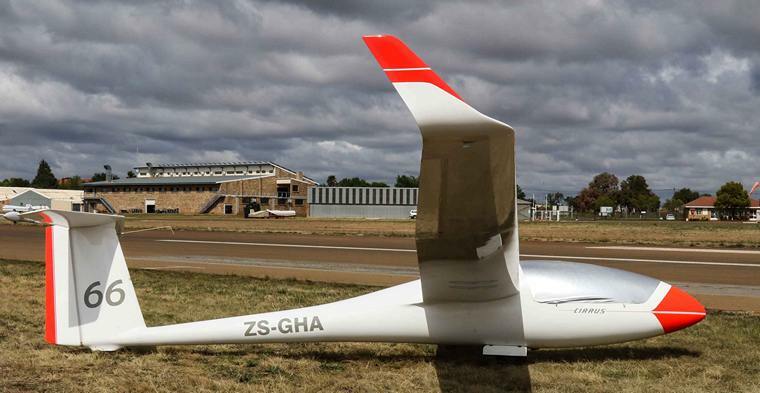 The 2017 South African National Gliding Championships was held at the Potchefstroom Airfield from the 1st to the 7th of October. 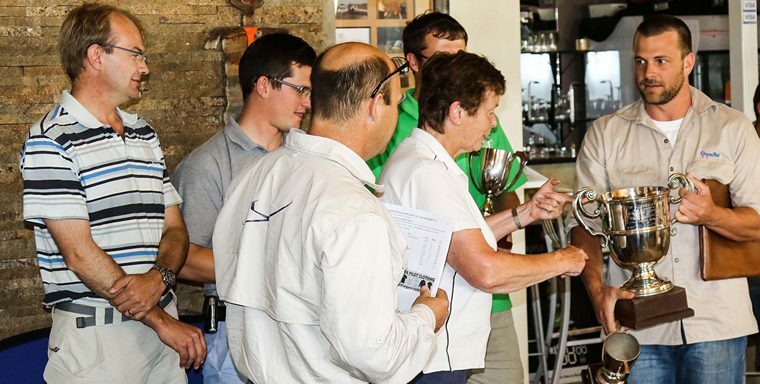 A record entry list of 51 glider pilots all but guaranteed a great competition. Club Class, allows a wide range of older small gliders within a specified range of performances, with the scores being adjusted by handicapping, disposable ballast (water) may be installed but must not be used in this class with a maximum all-up mass of 350kg. 15 meter class, where the wingspan of the glider may not exceed 15 meters with lift-enhancing devices allowed and a maximum all-up mass of 500kg. 18 meter class, where the wingspan of the glider may not exceed 18 meters with lift-enhancing devices allowed and a maximum all-up mass of 600kg. Double Seater, places no restrictions except a limit of 800 kg to the maximum all-up mass, may be one- or two-seater, disposable ballast is permitted in this class. The competition was held over a seven day period with each class being given a task to complete for the day, the tasks differ slightly for each class. A task is points on the geographical chart which the pilots have to follow by using warm thermals for energy / momentum and lift to reach those designated points and come-back home with enough energy spared to land at the airfield. Tasks can range between 200 and 600km, depending on the weather for that day. All classes have minimum altitude limits for the finish, which is normally in the vicinity of 1446m or 4820 feet Above Sea Level for the 15m and 18m classes, but does vary from task to task; penalty points are incurred if the height restriction is broken. Each competitor carries a primary and secondary GPS logger so all altitudes, speeds and flight path can be accurately logged. Each day a shorter task is also published and the judges can decide to use the "B" task if the weather or other conditions are not favourable for task "A". Tasks 5, 6, and 7 to be flown on days 5, 6 and 7 were not flown because of inclement weather. Oscar Goudriaan (18m class) crossing the finish line. After many hours of flying in less than favourable flying conditions during the 7-day period, the weather-restricted competition was concluded with all the classes flying also, due to inclement weather, being cancelled on the last day of the competition. According to FAI rules, if there are four days of results the competition is valid, for a day's task to be valid only one aircraft has to complete the task. In this case, the three days that tasks were completed; counted. 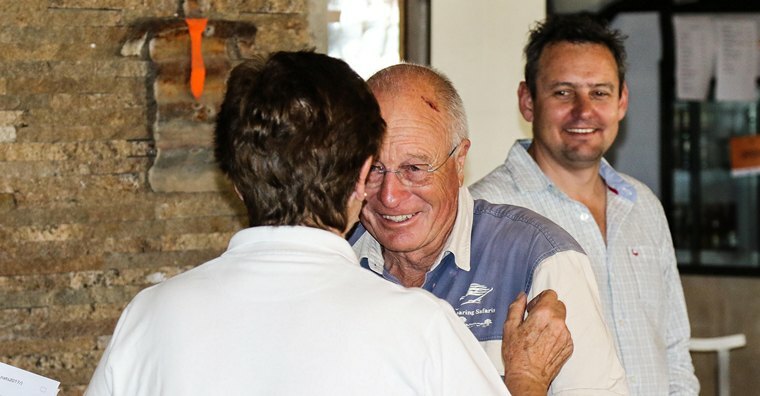 AP Kotze walked away with the honours in the Club Class with 2170 points followed very closely by Jaco Burger with 1998 points and Wilhelm Mosehuus with 1722 points respectively. Top position in the 18m Class was with not one but two of the Goudriaan family in the top three. Oscar took the number one spot with 2093 points and his brother Laurens took second place with 2070 points. 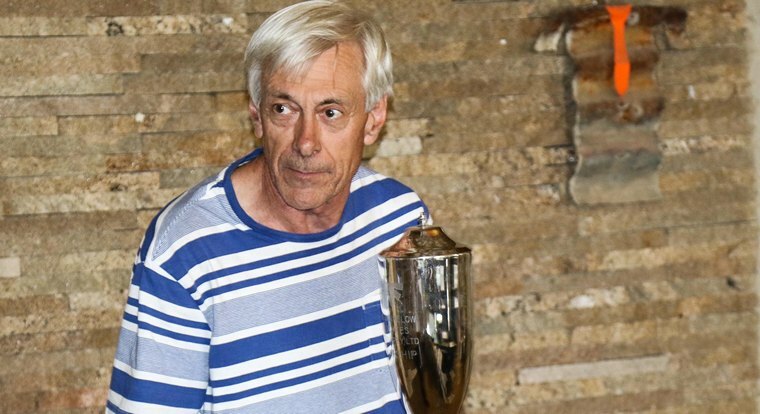 Arne J. Boye-M�ller took third place with 2062 points. With 23 points separating the top three it just proved just how hard the competition was. Double Seater Class was won by Schaap & Taljaard with 1816 points; follow by Farrell & Tiffin in second place and Lessle & Stheeman in third place with 1795 and 1741 points respectively. 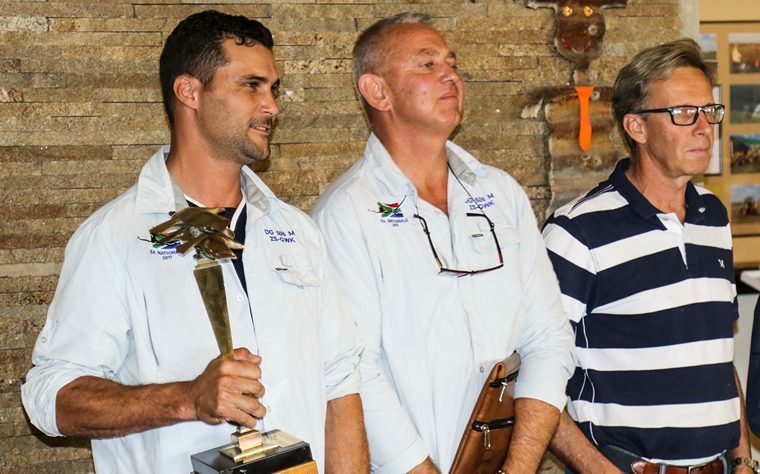 We would like to take this opportunity to wish all the 2017 SA National Gliding competitors that will be elected shortly to represent the SA National Gliding Team next year, the best of luck for the 35th FAI World Gliding Championships to be held in Ostrow Wielkopolski, Poland from 8 to 21 July 2018.